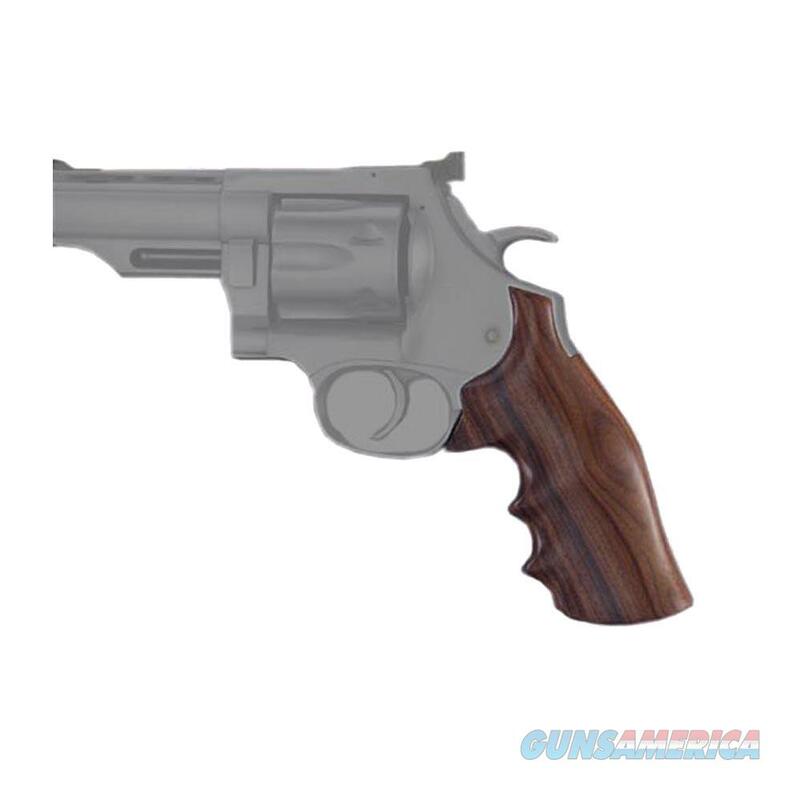 Description: Fits: Dan Wesson Large Frame .44-.357 (Round Tang)Hogue fancy hardwood grips are in a class of their own, and are acclaimed by many as the finest handgun stocks available. All Hogue hardwood grips are precision inlet on modern computerized machinery (CNC), then hand finished on actual factory frames, assuring a proper fit. Finally, they are hand polished to a non-slippery sheen using natural Carnauba wax which will not crack and peel like cheap, sprayed-on finishes. Hogue wood grips are made from Pau Ferro wood. Looks like dark walnut.